Blasheim lies in the South-Central part of Kreis Lübbecke. 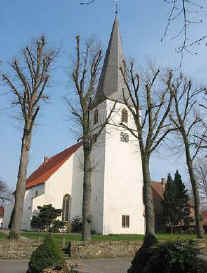 Blasheim Parish serves the towns of Blasheim, Mehnen & Stockhausen. Blasheim has been a parish since 1295. In 1491 the Blasheim parish began serving Mehnen & Stockhausen.